My very favourite street food vendors Dusty Knuckle have found a home in Cardiff and I could not be happier for them! 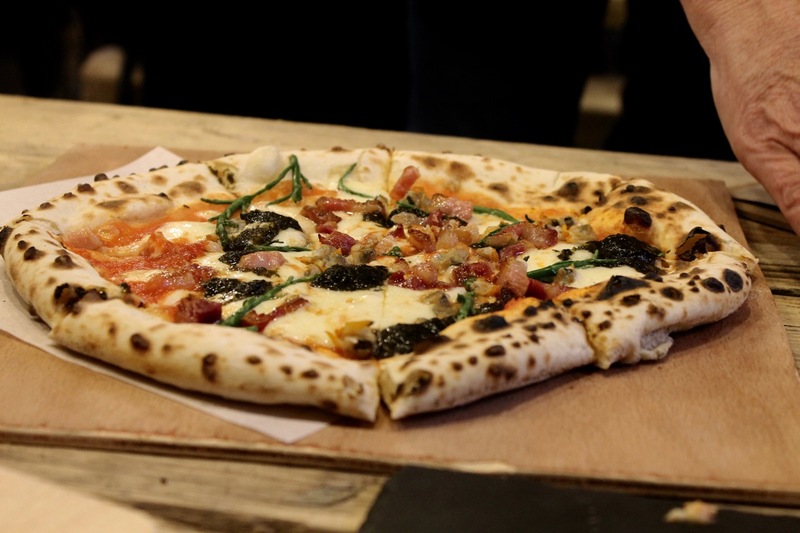 On an unassuming street in Canton nestled in the courtyard of the fabulous Crafty Devil Brewery Bottle Shop and Bar you will find THE best pizza in Wales..and probably further afield too. Phil and Deb Noyes started their business just 19 months ago and it has become stupidly popular. If you go to an event where they are trading and you don’t buy one of their pizzas I question your sanity. Their fans in Wales (myself included) are rejoicing that they no longer have to wait for food festivals and farmers markets to go and indulge because the DK courtyard will be open every Thur- Sun!! 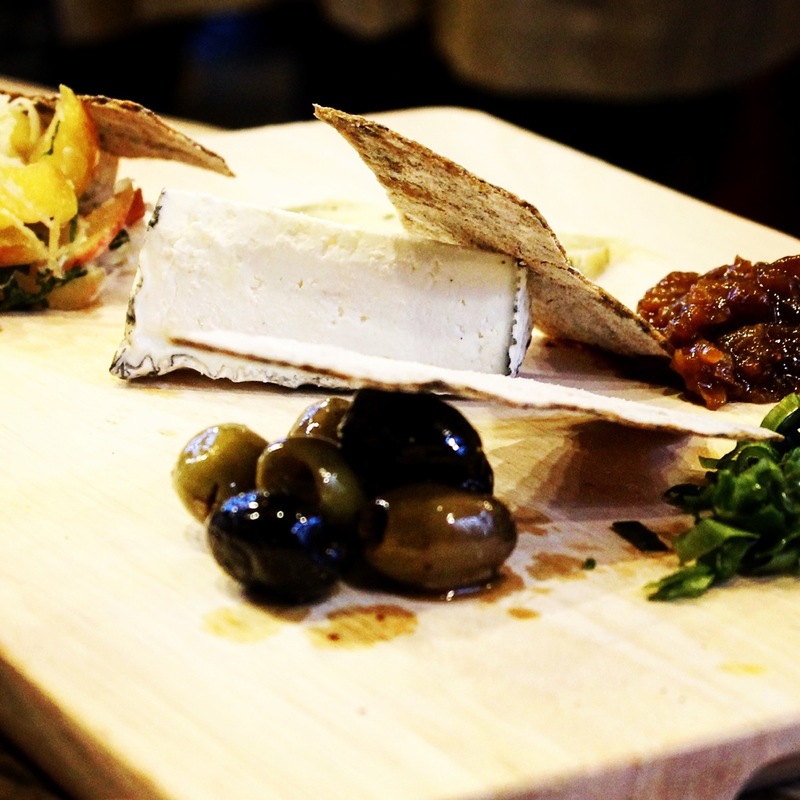 Last week we were invited to their launch and ahh it was one of the most enjoyable foodie nights I have had in some time. 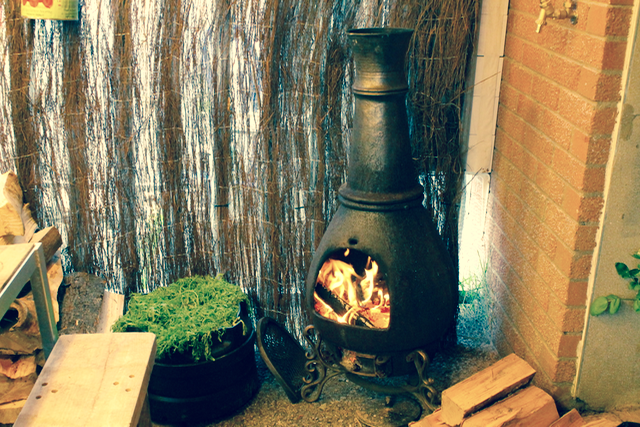 The courtyard is relaxing, inviting and the kind of place you will want to return to again and again. I was expecting to feel the chill a little especially as winter seems to have returned to Wales this week but the heat from the pizza oven and the chimenea lit at the back provided heat and ambience. If you do get a little cooler then you can grab one of the blankets they have ready for you or a cushion for some extra comfort…or just an extra beer? 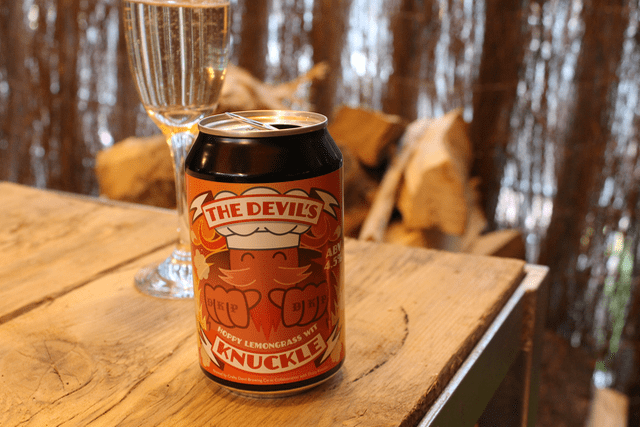 We started the night by trying the beer collaboration from Crafty Devil and Dusty Knuckle “The Devils Knuckle” its lovely, light and fresh and thats from someone who does not normally enjoy craft beer/pale ale. The mood set it was time to eat and the food started to fill up the tables in front of us, an array of the freshest local ingredients combined to make some truly delicious starters. We were able to try every single aspect of the starters and it was all tremendous but a special shout out to the Goats Curd and the Apple & Mint Slaw which were a little bit special. Onto the mains Pizza ..Pizza..and more Pizza!! I tried every Pizza on the menu ( purely for research of course ) and my top two are, the Goat and Garlic followed closely by the Pepperoni ( with the signature sausage meat from Charcutier ltd ). 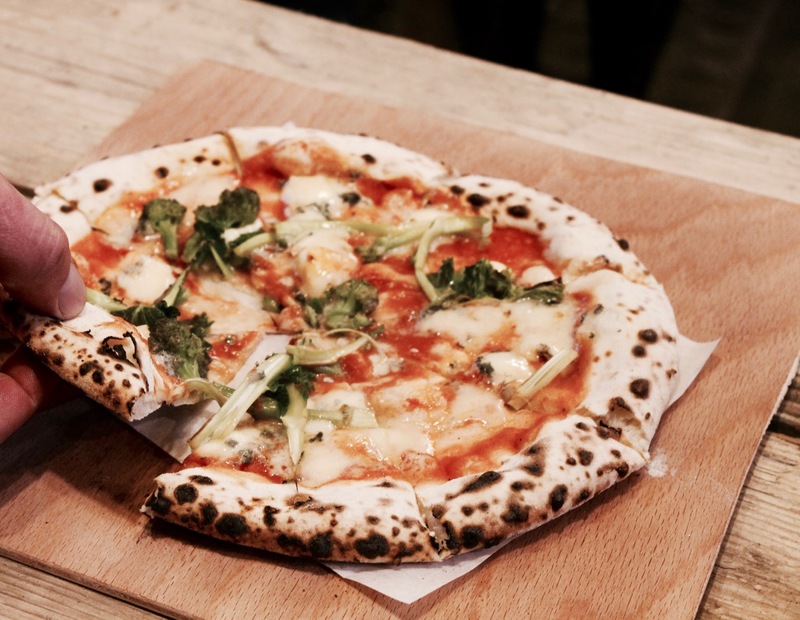 I didn’t really develop a love for goats cheese until quite recently but DK use THE best cheeses around and the Goat & Garlic pizza is EPIC…so much so its the only one I have no photos of. In some restaurants I find you can have amazing starters, delicious mains and then the dessert options are well a bit blah. 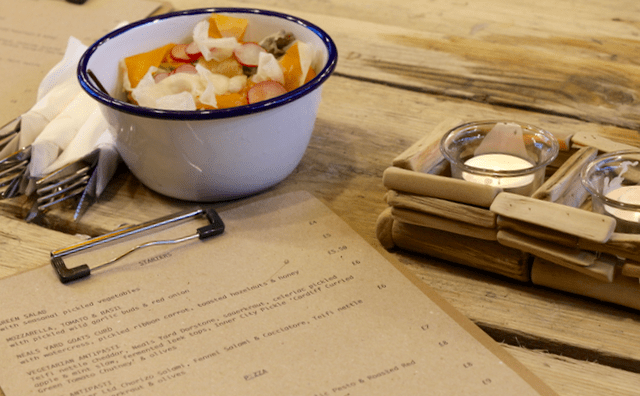 Desserts are not an after thought at Dusty Knuckle, the choice is small yet well considered and with as much emphasis on quality as every other aspect of the menu. Chocolate Mousse topped with rosemary and crumbled honeycomb was seriously heaven on a spoon, rich, indulgent and moreish. 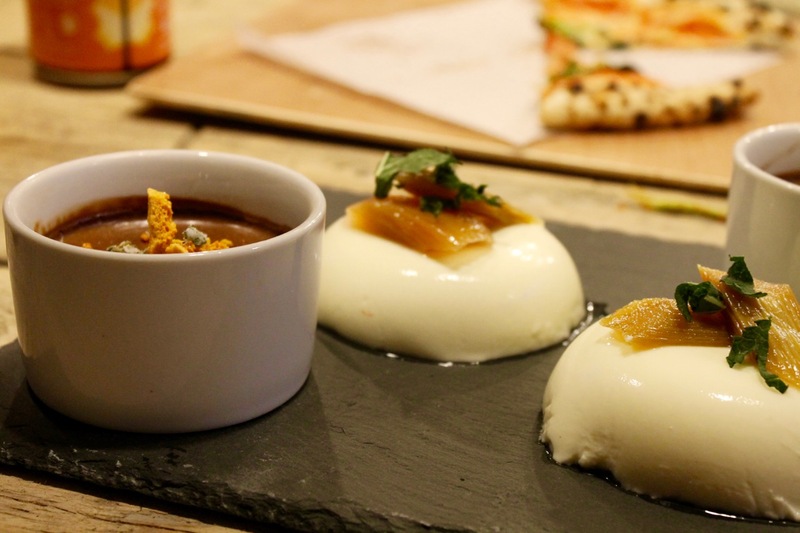 The Panna Cotta with bergamot was light and fresh and perfectly made. The final offering is Vanilla Bean ice cream from Gwynne’s Ice Cream (not pictured) and yes I am a little biased but its a bit good, topped with Dusty Knuckle honeycomb its a simple yet fabulous dessert. I think we can safely rate Dusty Knuckle a ten out of ten for food, they know what they do and they do it well. The layout of the restaurant and the friendly staff add to the general feel good, lets enjoy life and eat all the food vibe. 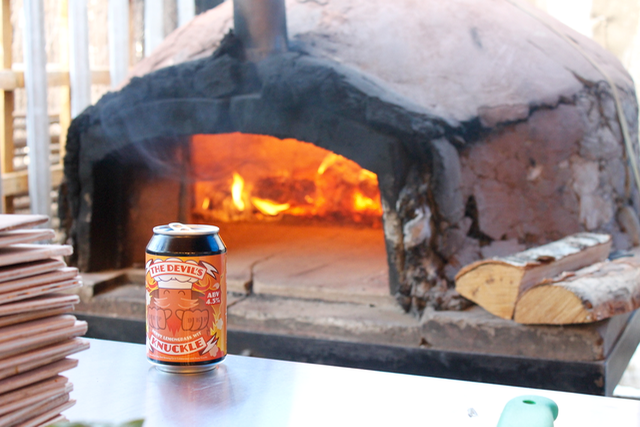 Lets not forget Crafty Devil Brewery, a brand we have come to know and love. Crafty Devil have a bottle shop and bar which lead onto the courtyard, they have a humongous range of beers to suit all beer lovers and wine and sparkly bits too. 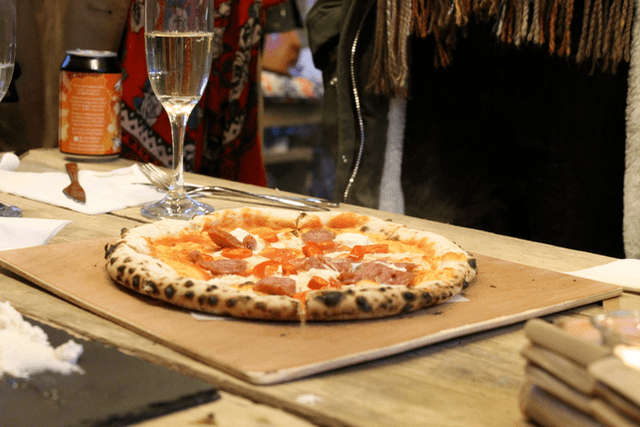 They host comedy nights in the bar as well as being open to purchase bottles to take home and now its a one stop shop with the best pizza around literally in their back garden. If you still aren’t persuaded to take a trip to Canton to check it out then I don’t know what else I can tell you.. Just go. See for yourself. I was invited to the launch event of this restaurant, all thoughts and opinions are my own.